Today we have released an early version of a feature that I envisioned over three years ago. Those of you who memorize extended passages of the Bible might have noticed that there is sometimes a lack of context and continuity as verses which should appear contiguously unfortunately are reviewed haphazardly over the weeks. “When you fast, do not look somber as the hypocrites do, for they disfigure their faces to show others they are fasting. Truly I tell you, they have received their reward in full. But when you fast, put oil on your head and wash your face, so that it will not be obvious to others that you are fasting, but only to your Father, who is unseen; and your Father, who sees what is done in secret, will reward you. I had always hoped that as people added passages it would gradually become clear which verses should be grouped together within a passage. It turns out that is, indeed, the case. Enough users who have a heart for fasting - but less for prayer and giving - have added the above verses and not the surrounding verses and it is possible to infer that Matt 6:16-18 belong together. Clearly this works best in sections of the Bible that are heavily memorized and less well in the minor prophets (I always think it will be awkward when we meet Obadiah one day and he asks us what we thought of his book!). This feature is still a work in progress and I am currently the only one using it. If you like living on the edge, you can enable Synchronize Subsections on your Update Profile page. This will ensure that over time, related verses will be reviewed on the same day and the review interval will be synchronized. Please leave feedback or comments by clicking the black 'Feedback' tab on the right. We will be refining this feature over the coming months so feel free to wait if you want. One of the disadvantages of this feature is that if you forget one verse in a subsection, the whole subsection will reset and appear to be unmemorized. If you'd like to see how your passages have been subsectioned, you can navigate to this secret page and click on the relevant passage. The last number in the list that appears shows the various subpassages. We highly recommend that most of you wait for a few months before enabling this feature. I hope you all have a blessed 2015. 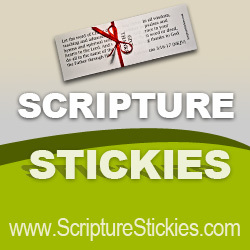 Each of the past 3 years, we have had a verse a day world-wide Scripture Memory initiative. It started with HEBREWS, then 1 TIMOTHY and last year's 1 JOHN. I am praying for 100 Elijah finishers and at least 10 Elijah project groups memorizing together offline. Do you have some friends or a church group who might want to memorize Elijah with you for some exciting face-to-face discussion, meditation, encouragement, and inspiration the next few months? Schedule for memorizing 1 KINGS 17-19, 21; and 2 KINGS 1:1-2:18 (there is no legalism in this schedule. You may start and end and go at whatever pace best suits you and your friends.) This schedule is just a guideline and the pace that I and Jacky will be following. Current known ELIJAH memorizers: If you are no longer memorizing ELIJAH or are listed twice, please let me know. Also let me know if you are aware of people memorizing with us who are not on this list. Please pray for people in this group. Pray that God might grant us strength, endurance, motivation and discipline to keep memorizing. Pray even more importantly, that the Scripture might be powerful in our lives and that God may be pleased on our meditation on His Truth through this project. Less importantly, but still worth praying about, you can also sneak in a short prayer that those on this list not on Memverse may discover the joy and benefit of Memverse and that Memverse may gain new strongholds of members through the Elijah Project. Known Groups Memorizing ELIJAH offline for face-to-face mutual accountability, discussion, meditation, encouragement, and inspiration: Please let me know if your group has stopped meeting or if you are forming a new group or if you have different members in your group. (Some may want to consider forming a group to begin 2012 after Christmas is over). Please let me know what information you would like with your group. You can include church or location you are meeting, translation you are memorizing in, times you are meeting, etc. Please pray for the formation of new groups. Pray also for the current groups that their meeting times may be enjoyable, encouraging, inspiring, and most importantly, honoring to God. Pray that groups that want to increase numbers will be able to and that those who want to join a group will be able to find one or recruit a friend to start one. Laura H NE A B C D E F G H I J K L M N O P Q R S T U V W X Y Z CONGRATULATIONS on finishing memorizing the Elijah project. May God give you and Mary the faith of Elijah as you walk through this life trusting Elijah's God in the name of our Lord Jesus Christ. Very glad that you 2 did this together. Mary L NE A B C D E F G H I J K L M N O P Q R S T U V W X Y Z CONGRATULATIONS on finishing memorizing the Elijah project. May God give you and Laura the faith of Elijah as you walk through this life trusting Elijah's God in the name of our Lord Jesus Christ. Very glad that you 2 did this together. Caleb W OH A B C D E F G H I J K L M N O P Q R S T U V W X Y Z CONGRATULATIONS on being the very first to finish memorizing the Elijah project. May God give you the faith of Elijah as you walk through this life trusting Elijah's God to be powerful in the name of our Lord Jesus Christ. Josiah D PA A B C D E F G H I J K L M N O P Q R S T U V W X Y Z CONGRATULATIONS on finishing memorizing the Elijah project. May God give you the faith of Elijah as you walk through this life trusting Elijah's God in the name of our Lord Jesus Christ. Looking forward to the return of your DD and TD days with our next project! Rosie A OH A B C D E F G H I J K L M N O P Q R S T U V W X Y Z CONGRATULATIONS on being the 2nd to finish memorizing the Elijah project. May God give you and Mary the faith of Elijah as you walk through this life trusting Elijah's God in the name of our Lord Jesus Christ. May God grant you the grace to keep and be encouraged by these verses for a lifetime! Marlene M PHI A B C D E F G H I J K L M N O P Q R S T U V W X Y Z CONGRATULATIONS on finishing memorizing the Elijah project. May God give you the faith of Elijah as you walk through this life trusting Elijah's God in the name of our Lord Jesus Christ. And may you pass the faith of Elijah on to your 2 young sons over the years as Elijah passed his faith on to Elisha. Pilar V PHI A B C D E F G H I J K L M N O P Q R S T U V W X Y Z CONGRATULATIONS on being the first from FOL to finish memorizing the Elijah project. May many be inspired and follow your footsteps. And may God give you the faith of Elijah as you walk through this life trusting Elijah's God in the name of our Lord Jesus Christ. I can honestly say that I am more excited about starting this new world wide Elijah initiative than with any of the 3 previous wonderful experiences we had. Maybe a part of it is simply what is going on in my life. I got married June 25th shortly after finishing 1 JOHN so this will be the first large Scripture memory project Jacky and I, Lord willing, complete together. I can't wait to memorize, discuss, and pray over these powerful verses with her. Any other husband/wife or boyfriend/girlfriend teams going to experience this joy with us? Secondly, Jacky and I are engaged in radical full time ministry spreading a passion for Scripture in the Philippines and Indonesia and wherever else God sends us. We want and desperately need Elijah's God to be real for us as He leads, empowers, and provides for our lives and our ministry. Lastly, Jacky is pregnant with our first child. As new parents, we don't want to share dead, weak, or hypocritical religious teaching and practices to our children who know us best. Rather, we pray that God will so change and indwell us that our children will see us literally trusting the God of Elijah to be at work in our family. I don't know what your situation is. However, I do know that our Christian world, and especially the next generation of Christians growing up needs to know that the true, living, Biblical God of Elijah is real, and is just as powerful, and wants to be wholeheartedly trusted just as much in 2011 as thousands of years ago during the days of Elijah. Will all the advances and excitement of modern sience, psychology, technology, materialism, entertainment, and temporal worldly success reduce the Bible to irrelevant even if it's true? Or will we fully live up to the life Jesus Christ died and rose again to bring and live inside of us. Will those who see our faith in a powerful, living God join Elisha in passionately wanting to know the God who lives in us for themselves as they proclaim "Where now is the God of Elijah?" I invite you to join us in memorizing "Elijah" the next few months. I ask you to help me in spreading the word by email, twitter, facebook, in your churches, etc. so that all who might want to memorize "Elijah" with us will hear of our support group. Lastly, I would ask you to consider and pray about possibly starting an offline "Memorize Elijah" group for face-to-face encouragement, inspiration and growth. If you have any questions, insights, or ideas for me, or if you would like to receive weekly Elijah encouragement emails, feel free to get in touch through philjohn1558@yahoo.com in addition to this blog. Ok, here is the last part of this series. Pray over these applications and apply them to your life as much as time will allow. . . . and more!! You will grow so much in your Christian walk with God, and we all know how absolutely wonderful that is. . .
Store your memories in the time of your youth.––”Remember also your Creator in the days of your youth.” (Eccles. 12:1). Right now, your memories are fresh and strong; later, as some can testify, they will be shattered with cares and business. A new ship, or any vessel that is new, is free from leaks; but time and travel will batter it. So will it be with you; care will batter you, grief will batter you: and therefore now store yourselves. Take heed: a dozen chapters, a good catechism, a collection of useful texts and doctrines, will take no room, nor make you live the heavier, nor sleep the worse. And therefore it concerns parents, both to have such things in their hearts, and to teach them diligently to their children. (Deut. 6:7). Perhaps they may not understand the sense of them at the present; but these will be ready in their minds till grace and understanding come, and then they will help them exceedingly; as we lay some sticks or kindling ready in the chimney, which, when fire comes, signify something. Writing what we would remember is a merciful help to the memory.––Socrates, indeed, held that letters proved the ruin of the memory, because, before the invention of letters, people committed worthy matters to memory, but afterward to books [or blogs :P ]; but certainly both memory and books are little enough to preserve those things that should be remembered. The Holy Spirit teaches better: “You shall write them upon the doorposts of your house, and on your gates.” (Deut. 11:20). Yea, the king himself was to “write for himself in a book a copy of this law,” that he might remember it the better! (Deut. 17:18). The very writing of anything fixes it deeper in the mind. And therefore I should still recommend the writing of sermon-notes, not only as a help to memory, but also as a good preservative from sleeping under God’s ordinance, as also from gazing about, to the great distraction of the thoughts at that sacred employment. For, alas, how many excellent doctrines, directions, and marks have you heard, that are quite forgotten, which a discreet use of writing might have preserved unto you! Prayer is a second help.––For “every good gift and every perfect gift,” whereof this is one, “is from above, coming down from the Father of lights” (James 1:17); and therefore is to be sought by frequent and earnest prayer, which is the golden key to unlock the treasures of heaven to the needy soul. O, beg it, then, of Him, that as he sanctifies the soul, he would sanctify this with the rest. And you have a ground for your prayer in John 14:26, where our Savior has said, that “the Father will send the Holy Ghost, to teach us all things, and to bring all things to our remembrance.” And this Spirit you may have for the asking: “your Heavenly Father shall give the Holy Spirit to them that ask him.” (Luke 11:13). Understand, that God will grant your prayer herein, there being joined with the same a due use of all other means, on which earnest prayer brings a blessing. And you must not only crave this in your solemn prayers; but also, when you are reading or hearing, you should dart up a quick prayer, “Lord, write this truth in my heart, and bless it to me!” This is like the clinching of a nail. And when you have heard a sermon, lock the chest with David’s prayer: “O Lord, keep forever such purposes and thoughts in the hearts of your people.” (1 Chron. 29:18). Be assured that God will hear the breathings of his own Spirit, and give thee a memory to serve your turn. Serious meditation is the last help I shall mention.–– [I know this next sentence is definitely the case with me!!] When people read or hear, and presently plunge themselves in foreign business, then generally all is lost: “For he looks at himself, and goes away, and at once forgets what he was like. But the one who looks into” (the word signifies “to penetrate into a thing with his eye”) “the perfect law, the law of liberty, and perseveres,” that is, considering what he has heard, “being no hearer who forgets but a doer who acts, he will be blessed in his doing.” (James 1:24-25). By which is not meant a speculative and fruitless meditation, but that which is practical; that is, which digests the things we read or hear for use or practice: “I have stored up your word in my heart, that I might not sin against you.” (Psalm 119:11). Here is a truth, or a duty, or a promise, for such a time or case. Such rolling of good things in our thoughts doth habituate and familiarize them to the soul, and they abide the longer. This is clear in other cases: for, if one has received an injurious or unkind word, if it go out at one ear as it came in at the other, it leaves no great impression; but if you set yourself to ruminate upon it, and to aggravate it, then it is a long time before you forget it. And so in some measure it would be in good things: give them a little heart-room, bestow some second thoughts upon them, shut the book when you have read a little, and think of it; and it will abide. It is the soaking rain that enters deepest into the earth, when a sudden shower slides away. But herein our ordinary hearers are strangely negligent: they read, they hear, they forget; for they never think nor meditate of it. They turn down leaves in their Bibles in the congregation, but they seldom turn them up again in reflecting upon what they heard; and so their labor is lost, and ours. But I conclude. It is worth observing, that holy David, among all the rest of his blessed psalms, has one (which is the thirty-eighth psalm) which he styles, “A Psalm of David, to bring to remembrance.” His memory, it seems, had need of help, as well as ours. EDIT: After a few comments, I've decided to add these: reciting out loud, and writing out what you are memorizing, are also very good ways to memorize anything. Courtesy of Andy. . . Read the comments to find out more. EDIT: I've written another blog post that goes very well with this one, called Getting to Know You: How do you Memorize? There are a lot of great techniques mentioned in the comments, that you should definitely check out. As we saw in the first part of this series, the memory is an amazing faculty. God has given it to us to use for his glory, and I can hardly think of anything more glorifying to Him than memorizing His Word! It is our duty to labor to improve our memories, and then to put all of what we remember into practice! So the following is an embellishing of part one, and an answering of the questions, "Why should I pray for God's grace to help improve my memory? Exactly what are the benefits that I will gain?" The first paragraph is an introduction to the rest. The sanctification of the memory by fitting things laid up in memory for use and practice. –– This is plainly the work of God by his grace. A notional memory is of little use without a practical; as treasure in a chest is no way useful, though there be much of it, as a penny in the purse, when there is occasion for it. “The steadfast love of the LORD is from everlasting to everlasting on those who fear him,” and on those who “remember to do his commandments.” (Psalm 103:17, 18). And certainly they who commit things to their memories on this design to practice them, shall be able to remember them, when they have need of them, in the course of their practice. A good memory is very helpful and useful as a means of faith.––As is plain in 1 Cor 15:2––“Unless you have believed in vain.” For, though faith rests purely on the word of God, yet when the word and works of God are forgotten, faith will stagger. Hence our Savior says, “O you of little faith, do you not yet perceive? Do you not remember the five loaves for the five thousand?” etc. (Matt. 16:8-9.) “The word of God is the sword of the Spirit,” (Eph. 6:17), whereby Satan is foiled: but if this sword be out of the way by reason of forgetfulness, how shall we conflict with the enemy?? And it is a means of usefulness.––No man should, nor indeed can, be singly religious. When one spark of grace is truly kindled in the heart, it will quickly endeavor to heat others also. So for counsel: we are born, we are new-born, to be helpful to others. Herein a good memory is exceedingly useful; out of which, as out of a storehouse, a wise Christian may “bring forth matters both new and old.” (Matt. 8:52). Such may say, “We have heard with our ears, our fathers have told us,” this and that observation. (Psalm 44:1). Likewise, “As we have heard, so have we seen,” what may be very useful to many a soul. (Psalm 48:8). The next and last part of the series will be about very practical ways to improve your memory.